Writing Shoes, Which Do You Use? 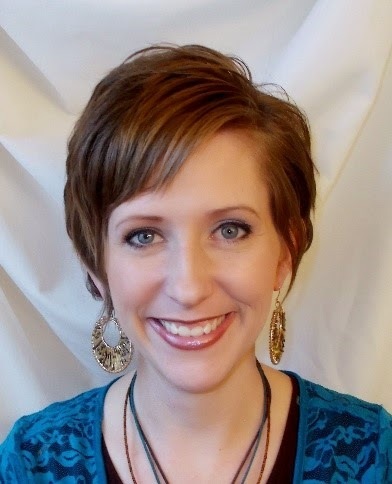 We are excited to welcome our newest contributor, Christie Perkins! I’ve been known for wearing the wrong shoes. I’d clonk one mile uphill (both ways) in chunky shoes to pick the kids up from school. I’ve marched down a marathon hill in Germany in flip flop clod hoppers. Yes, downhill. It caused severe distress on the toe flap, but the castle nestled in the bottom of a forest was totally worth the experience. And if you must know, I’ve fashion crashed in chocolate loafers paired with a black swimsuit. But in all of this I had one defining moment when I wore the right shoes. One real moment that mattered. I’ll get to it later. 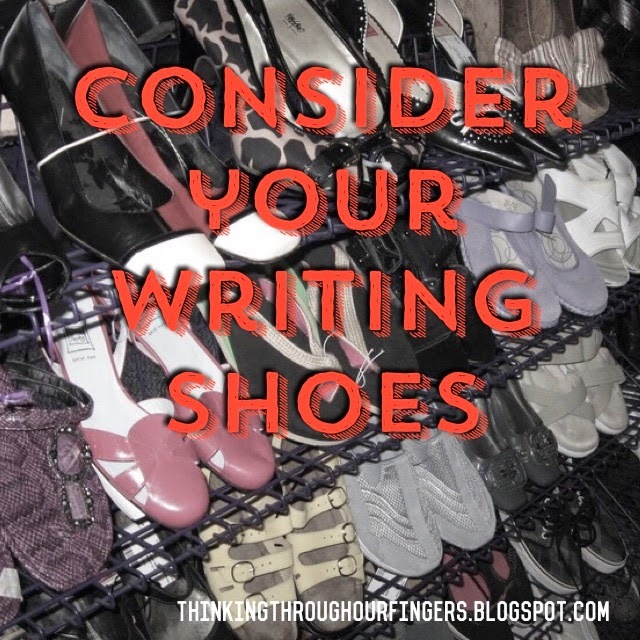 Writing is like wearing all the wrong shoes. These wrong shoes still take you places. Sure, it’s accompanied by pain, suffering, and embarrassment. But, all of these feats are gearing you up for success. I speak from experience. Whatever flips into your brain you scrawl down without thought to your ultimate purpose. You try to formulate a brilliant idea. Try. Sometimes this writing flips point of view or topic. Topic flip, focus flop. Next thing you know its flip flopping, belly-flopping all over the place: like fish out of water. Fixing mistakes can be overwhelming. No worries. It’s called a first draft. Writing will never be good unless you allow it to be bad first. So don’t stop at draft number one. Pin-point problem areas and work on them. Hate your writing for the moment, but work it to love it. Know what your direction is and where you are going. Some people outline. I don’t. I simply flip up a post it note on my screen that is stated with my objective so I stay on course. Every sentence is piled high of blurbs of words and verbs. Your backlog of backstory bores readers. Sure, stilettos look good from a distance, but they’re not comfortable. This method is overwriting- and I’ve been somewhat of a pro at this. Your readers get tired because they have to work to absorb all of your meaning. Get used to cutting your work. Cut, cut, cut. It’ll be easier to walk around in and you and your readers will be happier. Tell us an important piece then leave some wonder up to the reader. Remember not every word in your sentence needs to be creative. Simplify and dazzle us with just one really impactful sentence trickled in here or there. Have you ever owned a pair of shoes that stink to everyone else but you can’s smell it? Yeah, well. Trust what they are saying. It’s not that you stink but the methods you’re using do. Do you consistently get told the same things? (You overwrite. You need more description. There’s holes in your plot. I don’t understand what you are saying.) These are hard to take. But, I’ve learned that when I’ve stepped away from the project and gone back to it- half the time they were right. But only half the time. Are you your own critic? Cry and eat peanut butter M&M’s (unless your allergic- scratch that). No, really. If anyone’s ever told you your writing stinks- congrats! You’ve just made your 1st real step in the writing world. Learn methods that work for others but tweak it for you. Throw out what is not working. You are a writer because you love it. Remember that. Don’t give up, just try new methods. These critiques are great opportunities to turn you into a fantastic writer and freshen up your writing. This writing is casual. You write at your convenience, which is rare anymore. You know you enjoy it but you think you will write when life slows down. Ahem, key word: think. That’s not going to cut it. Push yourself to new heights. Make goals: write daily (even for 10 minutes), start a blog, find a critique partner, send off a query, edit that first book you hate. What is the next step you need to make in your writing journey? We are all at different levels so don’t compare yourself with a national best seller… be rational. Take a little step today. No more excuses or enjoying bonbons because your time will soon be gone… gone. So, what if you have your writing mojo? It’s not that writing comes easy, necessarily, but it’s already a habit. You sweat over your work, you can’t catch your breath some days, and sometimes you’re sore with unexpected results. Even winning the race is exhausting. But all of this pushing yourself is getting you somewhere. Keep going but take a break. You’re body and mind need a refresher. If you’ve mentally crashed from hard work, take a day off. Do something you love. If you’ve finished a really big project take a week off. Explore and get new ideas. Catch up on life. But whatever you do, never stop training. One day you will be writing and you will realize that you have the right shoes on. You will find yourself running down the street chasing the kid who stole your son’s bike (no lie). And you will think, “Hmm, I knew I needed those shoes today.” And all will be right in your writing world by first plowing through all the wrong shoes. Find what works in your writing, then take off running. Change the world with the right pair of writing shoes. Your toe flap will thank you.May your rugged writing paths eventually be equipped with the right shoes. Have you ever strapped on the wrong pair of writing shoes? What did you learn?